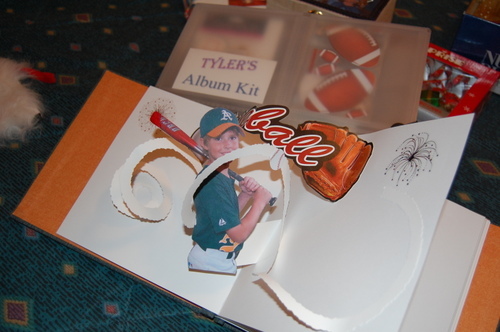 As a starter I made a pop-up page with Tyler's picture and a spinning baseball. He will have to help me design the other pop-up pages. There will also be plastic-covered sheets where he can insert photos of his own choosing. I have always respected pop-up book engineers, but never so much as now, since I have been trying to make this project!